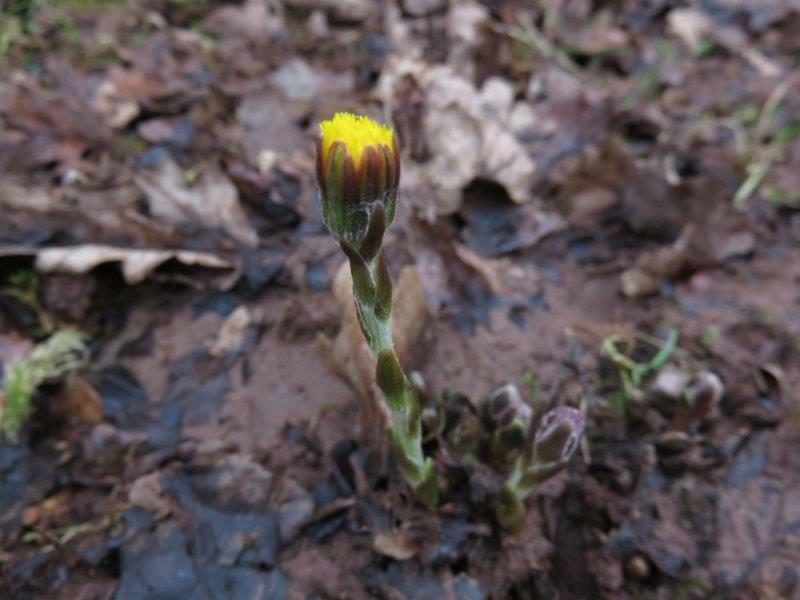 Whilst out walking today on the 1st February I came across the early flowers of coltsfoot, a good indication that spring is just around the corner. The 2nd February is Imbolc or Candlemas which heralds the seasonal change where we welcome back the Sun and celebrate the passing of winter. 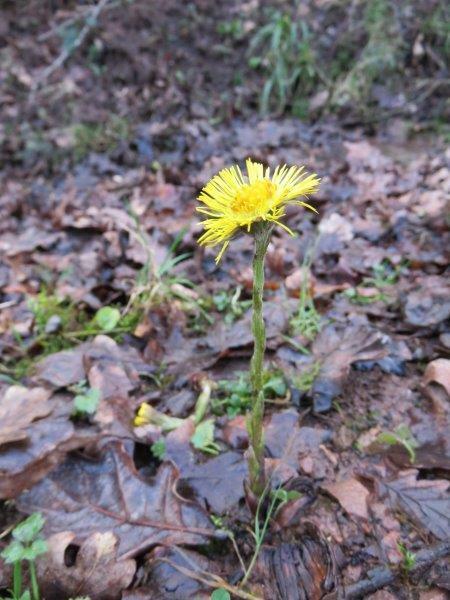 You will start to notice the Earths energies re-awaken with the sprouting of green leaves and the blooming of the first flowers, like snowdrops, crocus and, like todays find, coltsfoot. 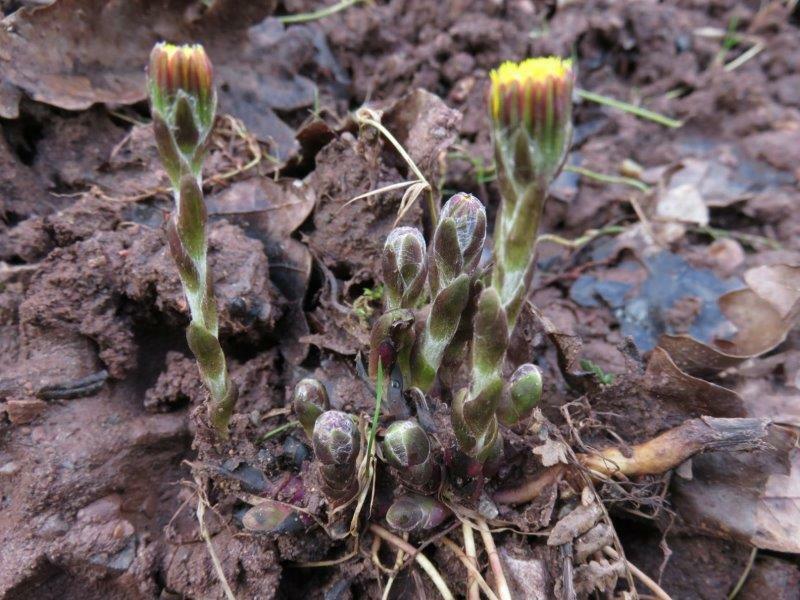 Coltsfoot up close even looks like a tiny sun, although you have to get up close as its easy to walk past and take no notice. 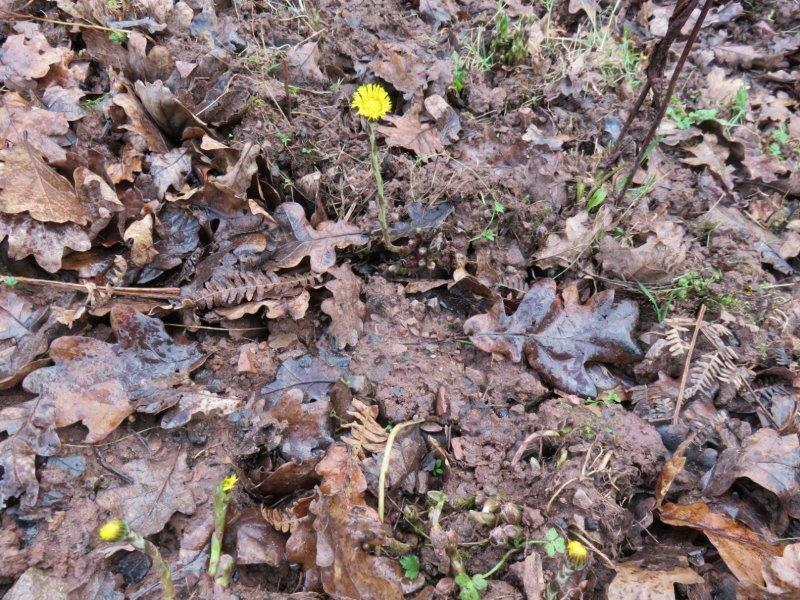 Most people only notice the cluster of leaves, long after the flowers have blossomed. TEMPERAMENT: Cold and moist PLANET: Venus Zodiac: Taurus Chakra: Throat Throat): PARTS USED: Flowers gathered in spring, Leaves in summer. ACTION: Anti-catarrhal, expectorant, demulcent bitter, diuretic, immune stimulant, antispasmodic, anti-inflammatory, anti-tussive. USES: Dry, unproductive cough, wheezing, whooping cough, asthma, wounds. 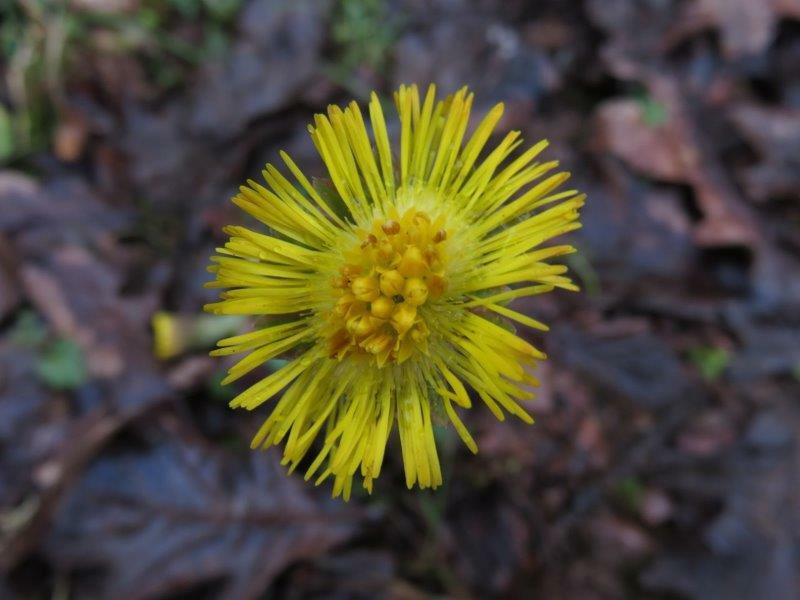 Coltsfoot, applied externally, contains much mucilage, tannins and zinc, therefore it is helping in healing wounds, sores and boils. Preparations: The flowers can be made into a syrup or a tea; 5 flowers to 1 cup boiling water, infuse 10 minutes. Drink up to 3 x a day. Tea; ½ tsp of leaves to a cup of water, simmer 5 mins, strain and drink sweetened with honey, ½ to 1 cup three 3 x a day. Poultice; mix the leaves with enough honey to make a paste, apply onto boil or sore. Apply gauze over poultice and bandage in place, change daily. 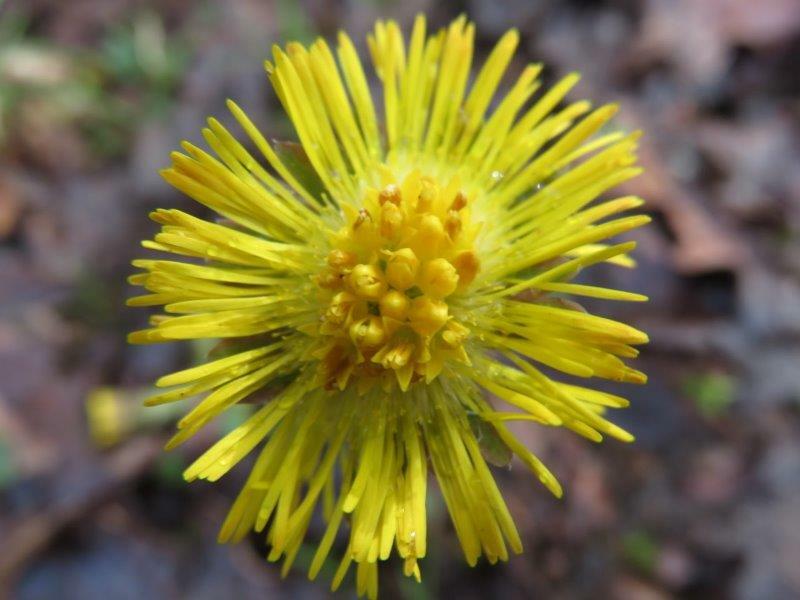 CAUTION: Coltsfoot contains pyrrolizidine alkaloid, do not use for more than 6 weeks a year total and avoid in pregnancy, breast feeding and young children without consulting a medical herbalist first. 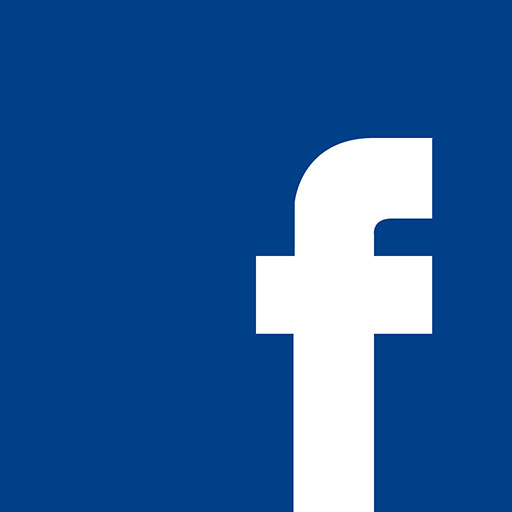 This entry was posted in Uncategorized on February 1, 2016 by Jessica Lucas.